Ease of installation - Quick and easy to install / relocate. Installs by turning the jackscrew at the bottom of the pole. 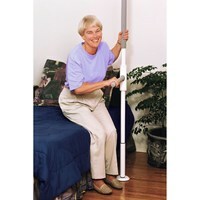 The screw expands the pole to create enough tension between the floor and ceiling to hold the pole rock solid secure. Add On Kits - The SuperPole also serves as a mounting support for a complete range of options that can be varied to meet changing needs: The SuperBar, SuperTrapeze, SuperTray and Safety Island. 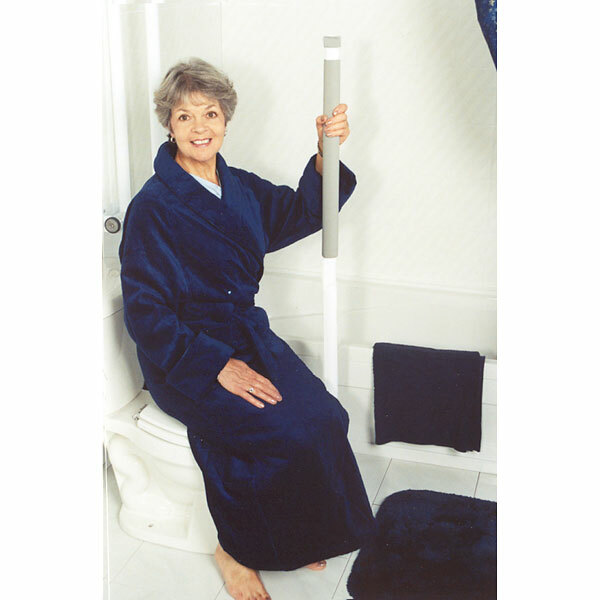 Uni-Fit Extender: Increase floor to ceiling range to 100-120/254-305cm. Sold separately. NOT TO BE USED WITH SUPERTRAPEZE. 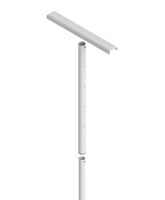 SuperPole Ultra: Longer pole accommodates floor to ceiling range to 121-140/307-356cm. 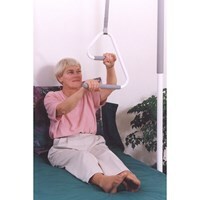 NOT TO BE USED WITH SUPERBAR OR SUPERTRAPEZE.